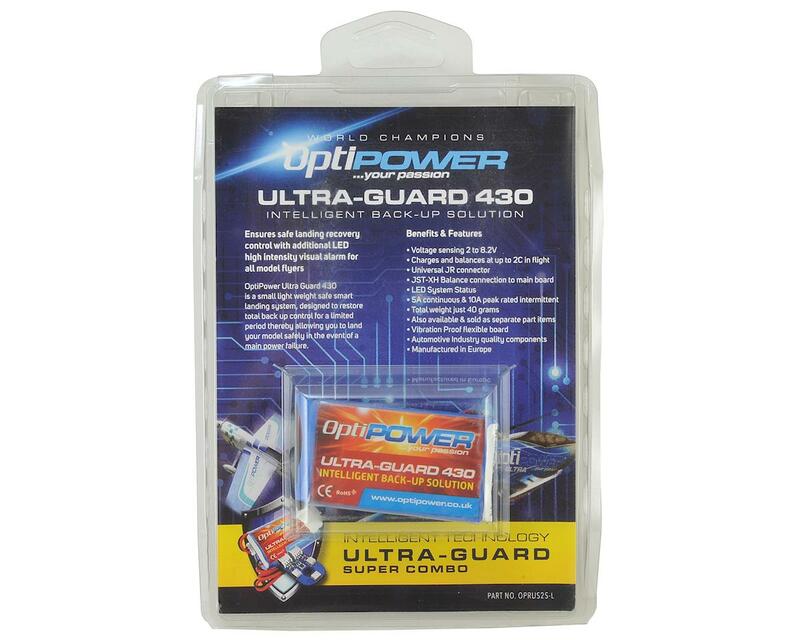 The Optipower Ultra-Guard is a simplistic back up solution for all types of model aircraft which operate off of any kind of receiver power; including BEC's and separate RX Batteries. Each aircraft costs hundreds if not thousands of dollars, and over time at any given point, solder connections can deteriorate, and electronics can fail. A failure of the receiver power surely would destroy any model, and leave the pilot with an upset short day at the flying field. Consider the Ultra-Guard an insurance policy for each of your models. Ultra-Guard is always there at the ready in the event of a voltage drop or even complete failure for your model! 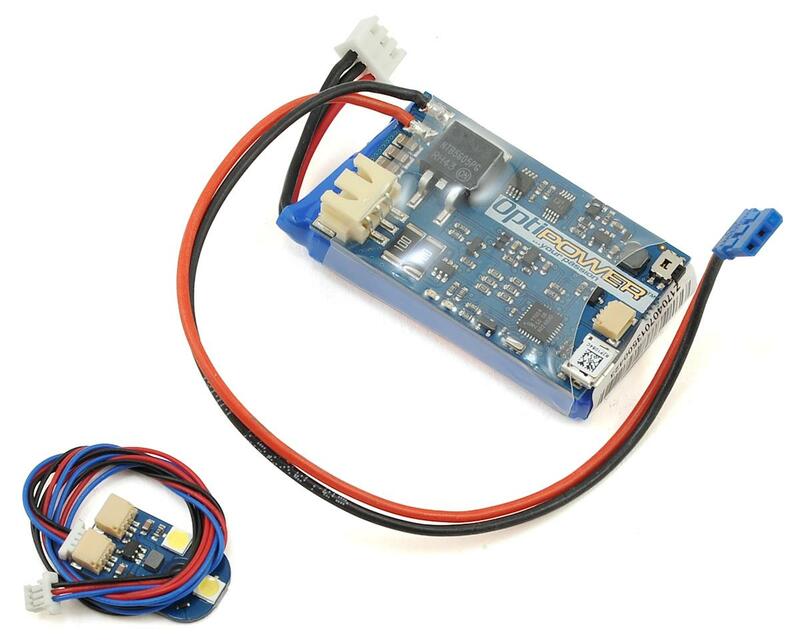 When plugged into any open port of the receiver, or flybarless gyro for helicopters, the Ultra-Guard is consistently monitoring input voltage, and as soon as the input voltage dips 0.5V below the original starting voltage, the Ultra-Guard is there for rescue! In a matter of milliseconds, the model is running off the backup 430mAh LiPo battery pack (at 0.5V less than input voltage), and has the ability to warn you with an external LED (optional; not required for use).